Michael Mozia is a Doctor of Physical Therapy, practicing since January 2015. Michael graduated from Seton Hall University with honors. He currently serves as Director of Rehabilitation at IvyRehab Physical Therapy in Bloomfield, NJ. 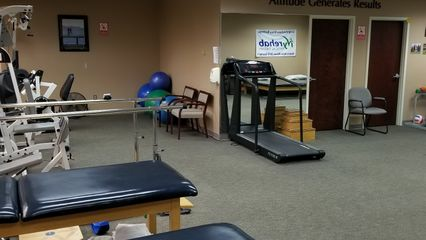 He specializes in spinal conditions as well as strength and conditioning training. He enjoys obstacle course racing (OCR) and hiking in his free time. He is also a huge fan of music and dancing! He hopes to meet you and get you going on the right track. Stephen Fong has been practicing orthopedic physical therapy for 7+ years. He is a graduate of the Mercy College Physical Therapy Program and is a lecturer of Anatomy and Kinesiology at his alma mater.